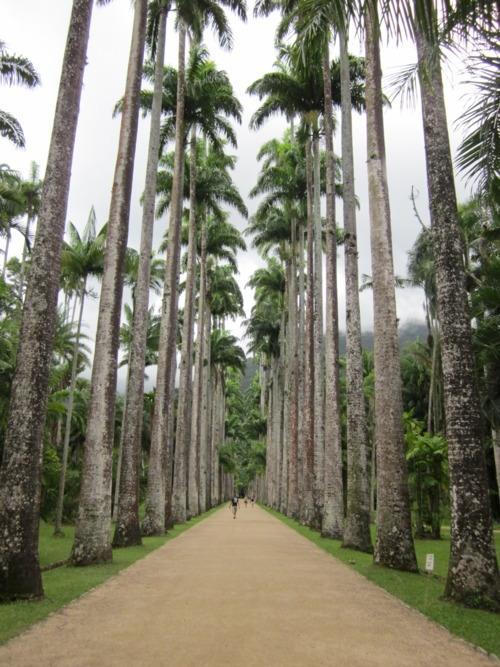 The center path: Avenue of Royal Palms(shown above) is a 750 m line of 134 palm trees leading from the entrance into the gardens. These palms all descended from a single tree, the Palma Mater, long since destroyed by lightning. These were the tallest palm trees I have ever seen in my life! 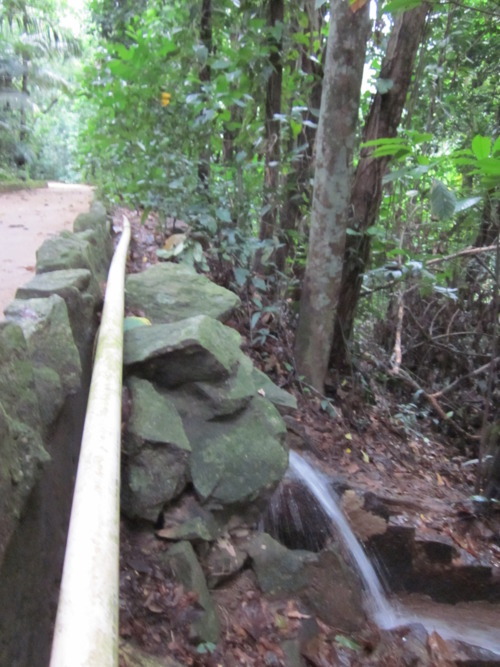 I started down the first path which lead me through a green maze to a number of small waterfalls. Can you see the hidden face? After the waterfalls we explored some of the greenhouses. 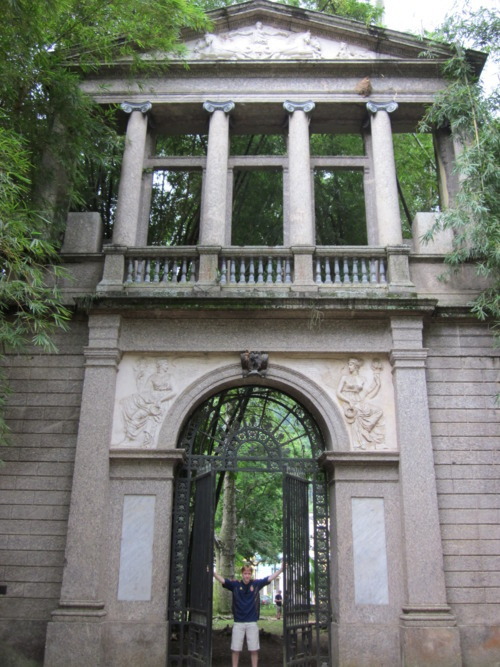 My favorite was Insectivorous Greenhouse (below). 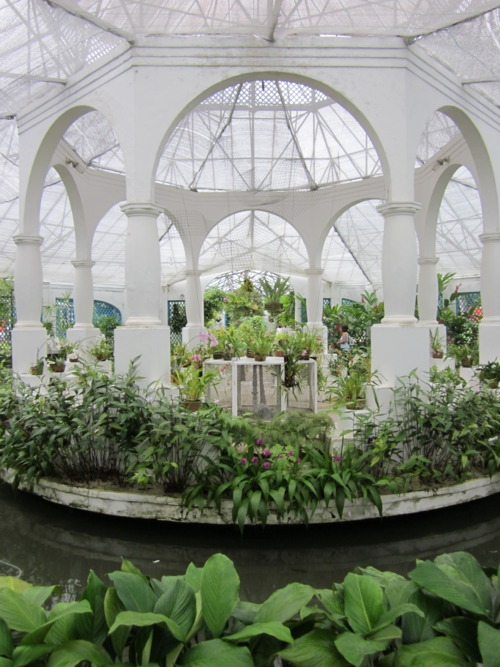 As you can see, this is definitely not your average greenhouse! 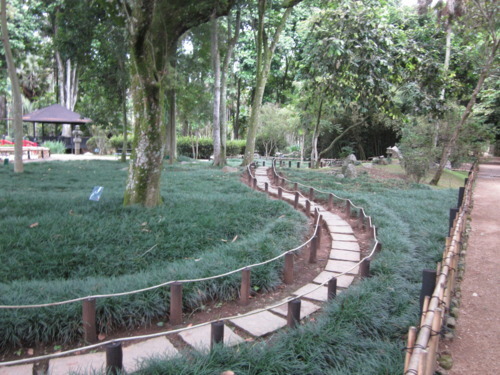 There was water flowing in every directions, and you are completely surrounded by beautiful bright colored flowers and plants. 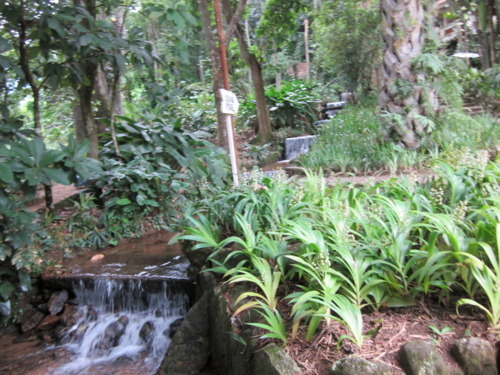 Throughout the natural flora the Botanical Gardens also include: 6 thematic gardens (including Japanese) , lakes, cascades, greenhouses, the Herbarium, Barbosa Rodrigues Library, a photographic collection, the Tropical Botanical School, visitors center and an Archeological site. 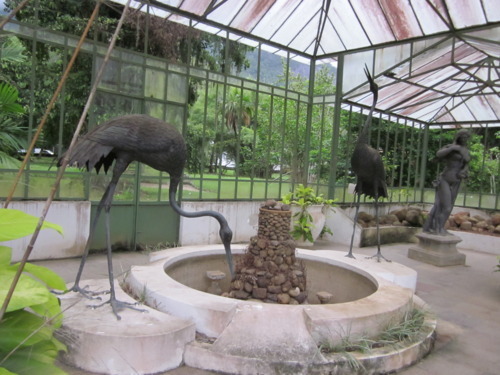 The statue of ‘Eco and Narcisco’ (above) as well as the tall-legged birds (below) were brought to the park from downtown Rio. 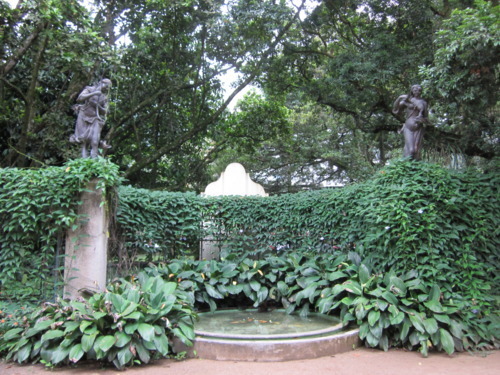 A little art history for you folks: All of of these sculptures are the work of Mestre Valentim, the Brazilian master and are housed in the memorial bearing his name.